We are specialized in the manufacture and supply of the finest quality Premix Ramming Mass in the international market. Premixed Ramming Mass offered by us is used in big capacity induction furnaces. These kinds of ramming masses are properly mixed with blinder leading to optimal mixture. They have less wastage as the mixing is done by advanced machines. Only imported Boric Acid is used for providing maximum result. They are recommended for consistent and longer lining, and patching. 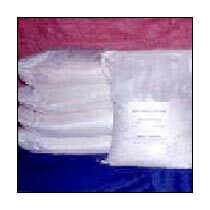 In addition, we are one of the prime Acidic Premixed Ramming Mass Exporters in India.